My baby is born - and doesn’t look like my partner or my donor! Ever since you were little, you’ve dreamt of having a baby. But, your dreams of naturally conceiving were dashed with your diagnosis of infertility. Initially, perhaps, you couldn’t see a clear path ahead, but you persevered. You decided to use donor egg IVF to conceive. After many trials, you finally became pregnant and had your baby. You accepted you wouldn’t have the same genetic connection with your child as you would’ve had if you were able to use your own eggs. But, it didn’t matter; the baby you carried for nine months was yours. You found solace in the fact that even though your baby wasn’t genetically half yours, it was still genetically half your partner’s. Yet now, you’re looking at your newborn, and your baby doesn’t look like you or your partner. Your baby doesn’t even look like your donor. What gives? How did this happen? How are you supposed to react now? Is there still hope for your baby to look like your partner or to have traits similar to your own? Is the genetic connection still there? Genetics is a guessing game. 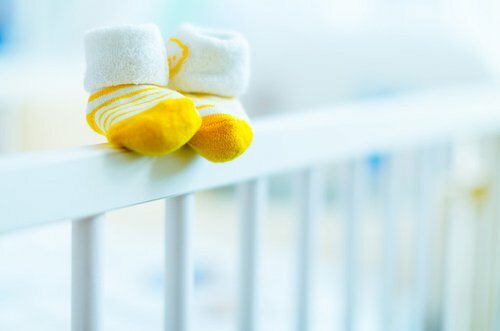 Predictions can be made based on the biological parents’ traits, but ultimately it’s impossible to know for sure what characteristics a baby will have before its born. The reality is the uncertainty in genetics applies to everyone, even couples who conceive naturally could have a baby looking more predominantly like one parent over the other or can even have a baby that doesn’t look like either one of them. The part of human cells responsible for the way various traits are inherited is called DNA. DNA is a collection of genes that get passed on to your baby during conception. Everyone’s DNA is comprised of 46 chromosomes, with each parent passing on 23 of the 46. Geneticists approximate there are 60,000 to 100,000 genes in each individual’s chromosomes. If you take into account all the various genetic combinations, one pair of parents is able to produce 64 trillion different children. To make it even more complicated, most of the traits your baby has is the result of multiple genes working together. Certain traits are expressed when combinations of genes are reduced, increased, or even turned off. The mere scope, complexity, and variability of genetics makes it impossible to know for sure what your child will look like before they are born. Even if you picked a donor who closely resembles you, there are no guarantees the physical traits you are hoping your child will have will be expressed. Still, there are ways to make predictions on possible traits beforehand. Each individual inherits two versions of each gene: one dominant and one recessive. For instance, take eye color where brown eyes are the dominant eye color gene. If your partner and donor both have brown eyes, the probability of your baby currently having brown eyes is higher than them having blue eyes. Of course, this doesn’t mean that your baby can’t have blue eyes, especially if one of your partner’s parents and one of your donor’s parents had blue eyes. The combination of genes your baby expresses, whether recessive or dominant, can make it possible for your baby to not physically look like your partner or your donor, but a unique combination of the two. Even though genetics is incredibly variable, it’s likely you had an impact on your baby’s characteristics while your baby was in your womb. Pregnant women are warned drinking alcohol and smoking can have serious consequences on the development of their babies. But, there are other ways a woman’s pregnancy can affect their child. Your diet, what you listened to, how you felt, what you thought and how you spoke during your pregnancy, can still impact your baby’s health and how your baby responds to different stimuli later on. Further, your child’s genetics is not the only factor in what talents and personality traits your child possesses. Your child’s environment and exposure to different opportunities also plays a vital role. For example, people who have perfect pitch are four times more likely to say a relative has a great singing voice than those who only possess only average singing voices. Yet, research shows most people with perfect pitch had developed the gift through voice lessons before the age of 6. Children who inherit a tendency to engage in risky behavior, may be less of a dare-devil than they would’ve been if they were influenced by their environment not to engage in such activities. Individuals who are genetically inclined to be intelligent may not be as smart if they are not exposed to books or a proper education. Even if a child has a genetic predisposition to be talented in a specific area, it’s clear talents need to be practiced in order to be developed. Whether a child lives up to their full potential is often not only dictated by genetics, but also by encouragement to succeed in their talents. Similarly, a child’s future physical and mental health is not only influenced by their learned eating and exercise habits, but also by past experiences they can draw confidence from. Just because a child may not physically look like their parents doesn’t mean they can’t pick up traits from living with them. Children have a tendency to adopt similar facial and vocal expressions as their parents have. And even if a child doesn’t initially look like your partner, it doesn’t mean your child won’t look like your partner down the road. The expression of genetics is a life-long process. For example, there’s a possibility if your child was born with light blonde hair that eventually your child’s hair will turn brown. The genes involved with hair color particularly are not constant throughout our lives. Shifts in gene expression can cause other physical traits to change as well. Ultimately, when it comes to genetics and your baby’s physical traits, it’s important to simply sit back and enjoy the ride. The late great physicist and cosmologist, Stephen Hawking argued our human evolution has gone beyond our biology. Over hundreds of years, human’s biological evolution has slowed. While there has been no noticeable change in our DNA, the knowledge passed on from each generation has increased exponentially. Hawking calculated the amount of useful information in human genes as 100 million bits, while in comparison a major national library could contain 10 trillion bits of information. Thus, the amount of information we receive from our history and the environment around us is a hundred thousand times greater than what we receive from our DNA. While genes may provide the preliminary map for your baby, they don’t determine what kind of person your baby will evolve into. Your love, values, and parenting will have the greatest impact on the type of person your baby will be - not your baby’s genes. Above all, remember you and your partner brought your baby into this world. You both fought hard for your baby. Your baby is yours, no matter the genetics or what he or she may look like on the outside. Do you need more information on infertility alternatives? Discover how donor eggs can help! Jonelle K. Agurs serves as the Marketing and Assured Refund Assistant for Donor Egg Bank, a California Cryobank Company. Graduating with a degree in public health, she has a passion for learning about methods for healthier living, and sharing tips to help promote quality of life. The reality is that it takes two human beings to reproduce and create offspring. Sure you can add a third person and have them gestate but they are not reproducing and at best a woman who only gestates or who only raises or who gestatestes and raises are only influencing the offspring of the couple who has reproduced together. When someone who gestates looks for themselves in the child they carried they are looking to erase part of who that person actually is; there is only 50 percent of that person created by their mother and none of what their mother contributed involves gestation. Saying that the baby belongs to the woman who gestated is materialistic and wrong. To say such a thing disregards who the person is in reality and tries to replace who they are with who raised them and who took care of them. It's a selfish extension of the materialistic act of buying another womans egg as if it could ever be separated from buying that same woman's child from her.